Booking Chetna Makan will cook up a storm at your special event! We are a booking agent for Chetna Makan, and can arrange for her to perform for your guests. Before coming to the UK Chetna Makan was a fashion designer. She has a great creative flair which has influenced her baking . 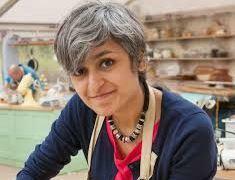 She appeared in the great British bake off and received a great response as a result. Chetna Makan went all the way to the semi-finals on the show and became very popular with the viewers. 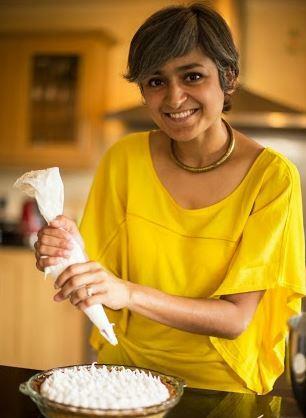 After the show, Chetna Makan continues baking and creates great bakes for all sorts of events. She has her own website, blog and writes recipes for top chefs like Jamie Oliver and food network TV. 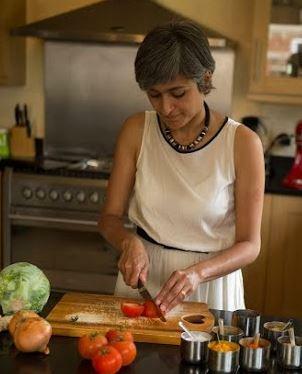 Chetna Makan offers masterclasses and demos and would be a fantastic addition to your event. Contraband is the UK’s top booking agent, with affable, attentive account managers who guarantee you the best deal possible. Contact us today if you would like to book Chetna Makan to be the headline of your event! We as your booking agent are more than happy to help you create the most memorable moments with Chetna Makan. “Chetna is indeed the Flavour Queen”.